Unashamedly over-the-top and a favourite destination for the luxury-loving jet set, Dubai is the garden in the desert that is rich in the very best of everything. When it comes to dining out, your every whim will be catered for. 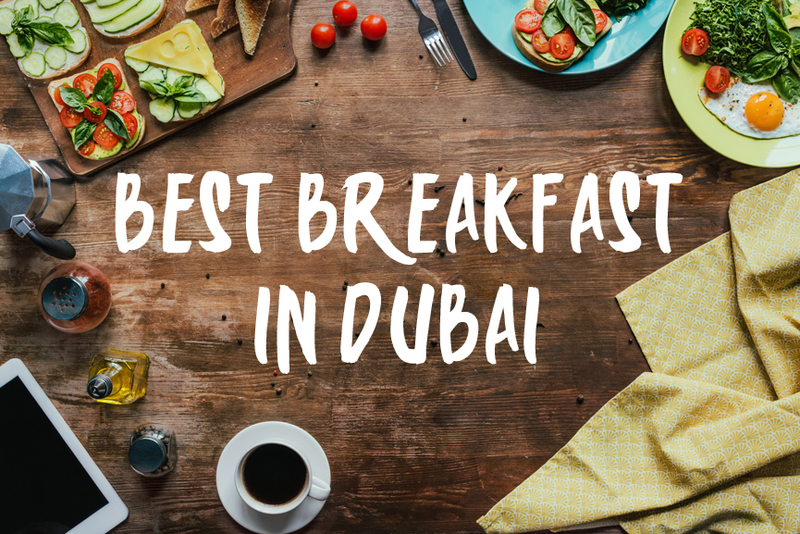 Breakfasts are some for biggest and most opulent in the world and Friday Brunch is a big deal in Dubai. Brasserie 2.0 at Le Meridien hotel is more than just a restaurant, it’s an experience. With a variety of live food cooking stations, diners can watch their meals being scratch-made right in front of them. Set within a modern, funky and relaxed setting, diners can enjoy the hot cooked breakfast buffet, freshly baked pastries or a variety of fresh fruit, granola and yoghurt. They can also order from the evening BBQ brunch complete with ribs, brisket and burgers. Le Royal Meridien Beach Resort + Spa, Al Mamsha Street, Dubai. A spacious, warm and friendly restaurant, Eggspectation Dubai is another box ticked for this popular Canadian food group, as they continue their global takeover of the breakfast market. Luxurious surroundings and well trained staff will ensure that you have an “eggsellent” time. Perusing the pun-heavy menu, you’ll notice the enormous range of egg dishes including a wide variety of eggs Benedict dishes and omelette’s, as well as French toast, pancakes and waffles. Located in the Westin Mina Seyahi Hotel, the Blue Orange offers amazing food in an incredible location. With a wealth of international flavours to explore, diners at Blue Orange will never feel bereft of inspiration. Friday’s Bubbalicious Brunch allows you to indulge in the freshest local and international breakfast fare including hot cooked meats and eggs, fresh fruits, a watermelon station, yoghurts, bread and even unlimited champagne, if you want it. Friday Brunch is a big deal in Dubai, and the Blue Orange does one of the best. A Lebanese restaurant that has been established for more than 20 years, Breakfast To Breakfast prides itself on offering an amazing selection of foods and its dedication to serving up fresh, local produce with a distinctive Lebanese twist.Incredible chicken or steak dishes, wraps, Lebanese patties, salads, pastries and eggs are all available at Breakfast To Breakfast, and diners the mixture of Lebanese and Arabian flavours on offer. They also serve really good coffee and freshly made juices. Dine in a unique, tranquil food station-based restaurant festooned with precious and semi-before tucking in to some amazing foods. The Gem Garden ensures that nobody leaves their place without having been touched by the healing powers of the stones, and a full belly. Breakfast diners can enjoy fresh, healthy fruit juices and delicious pastries before getting stuck into a fantastic selection of cold meats or incredible egg dishes, accompanied by freshly squeezed juices and steaming hot coffee. Friends’ Avenue Cafe is a laid-back breakfast venue inspired by the chilled out, bohemian casual dining scene that is usually found in cities like New York. The team behind Friends’ Avenue Cafe have travelled the world and gained plenty of inspiration for their own brilliant breakfast venue in the centre of Dubai. Diners can enjoy fresh coffee prepared by their very own barista whilst deciding what to eat. From light bites such as Good Morning, Granola through to a hearty meal like the famous Big Brekkie Board, everyone is catered for here. Ground Floor, The Ribbon Mall, Dubai Motor City, Dubai. For fans of Italian food, look no further than Crumby, an authentic Italian pizzeria dating back as far as the 1950s, and taking inspiration from original recipes originating from and the hills surrounding Turin. All the classic Italian dishes are available at Crumby, but breakfast diners love the poached eggs and beef bacon, freshly made Italian pastries and plenty of the finest Italian coffee is on hand to wash it down with. This multi-award-winning cafe offers an opportunity for diners to enjoy great food whilst reading great literature. Very much a part of the community, BookMunch Cafe likes nothing more than to get heavily involved in the local scene.Food lovers are in for as much a treat as bibliophiles when they visit BookMunch Cafe, with a large variety of options to choose from, including four very distinctive full breakfast meals, a huge eggs menu and a large selection of tea and coffee. This amazing and luxurious restaurant sits on the 122nd floor of the world’s tallest building, the iconic Burj Khalifa. Diners are afforded unparalleled views of Dubai and the Arabian Gulf whilst dining on some of the world’s finest foods. At.Mosphere’s breakfast menu is decadent, inspired and utterly delicious. Every ingredient is freshly prepared by top chefs and brought to your table by polite, discreet servers. If you really want to push the boat out, At.Mosphere have a fabulous selection of caviar to accompany your breakfast.